Something Blue, and a Silver Sixpence in Her Shoe. This good luck saying dates back to Victorian times and many brides try to arrange their wedding attire accordingly. Something Old represents the link with the bride’s family and the past. Many brides choose to wear a piece of antique family jewelry or a mother’s or grandmother’s wedding gown. Something New represents good fortune and success in the bride’s new life. The wedding gown is often chosen as the new item. Something Borrowed is to remind the bride that friends and family will be there for her when help is needed. The borrowed object might be something such as a lace handkerchief. Something Blue is the symbol of faithfulness and loyalty. Often the blue item is the garter. Throwing the garter began in France when pieces of the bridal attire were considered lucky. The bride would throw the garter to the guests at the wedding and whoever caught it could expect good luck. In the United States, the groom traditionally removes the garter from the bride and throws it to the unmarried men. The man who catches it is thought to be the next to marry. At some weddings the man who catches the garter will place it on the leg of the lady who caught the bouquet or they may start the next dance. It is also common for the recipients of the bouquet and garter to have a photograph taken with the bride and groom. The garter is placed on the brides right leg, just above the knee. Often the bride chooses to wear both a garter to throw as well as a garter that she would keep. 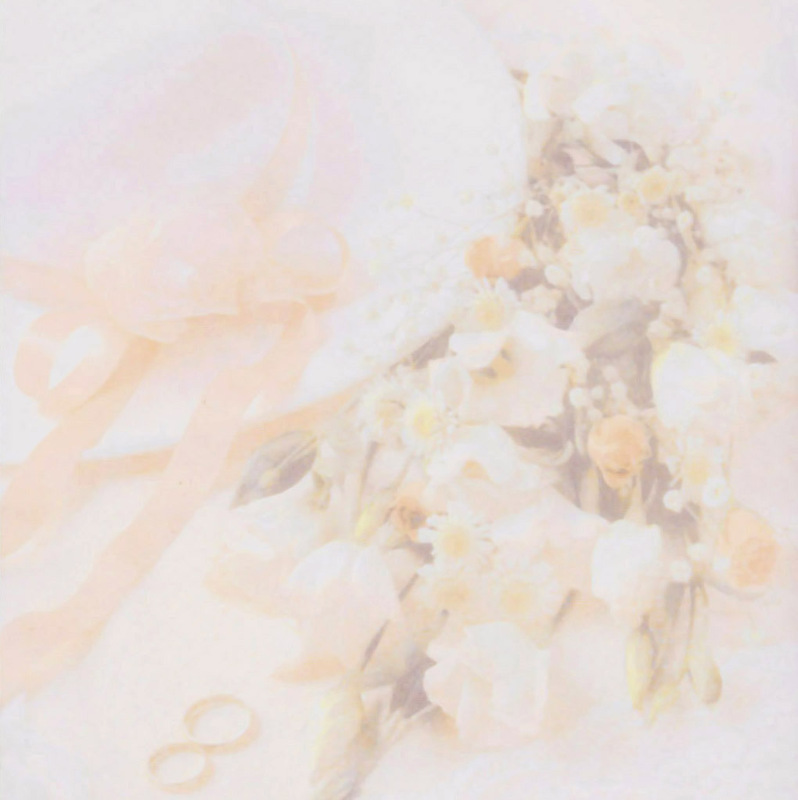 At its inception, the bouquet formed part of the wreaths and garlands worn by both the bride and groom. It was considered a symbol of happiness. Today the practice of tossing the bouquet is an offshoot of throwing the garter. The single woman who catches the bouquet is believed to be the next to marry.